We are away from you as far as your telephone please inform us for any casting problems of yours we will glade to serve you. 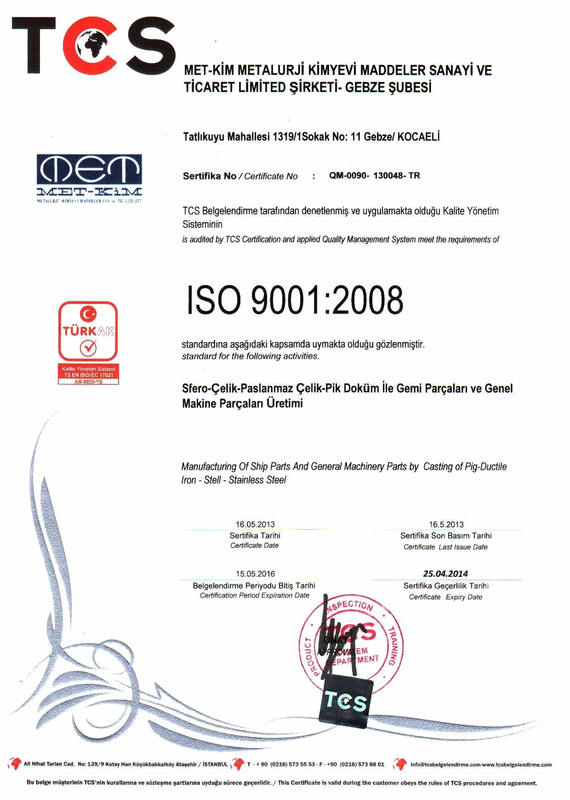 METKIM FOUNDRY was organized well to offer on every occasion which customers demands. a) Small or larger production runs. b) Conventional or special purpose alloys requiring special mechanical or physical properties. 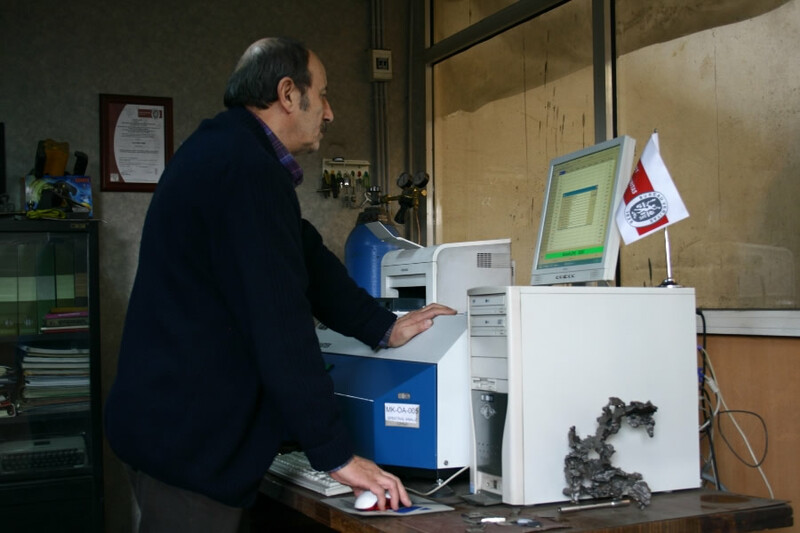 METKIM FOUNDRY, analyses each charge of molten metal by spectrometer to assure composition.Cast parts are heat treated as a standard procedure to assure customers demands in terms of physical and mechanical properties . METKIM FOUNDRY experienced in the manufacturing of complex items with difficult coring requirements by manual moulding castings and automated moulding castings made with traditional moulding machines. Agreement with customer demands for quality and production term are in concern always for the reliable relations. Cost control is an important factor in the achievement of quality which involves the prevention of faults and defects instead of removing them. METKIM FOUNDRY casts mainly GS-GX-X-GGG components and manufactures prototypes and pre-production items within short notice and with temporary low cost equipment. We also cooperate with our customers starting from the initial plan of a new product up to its industrialisation. WE WILL GLAD TO SERVE YOU.